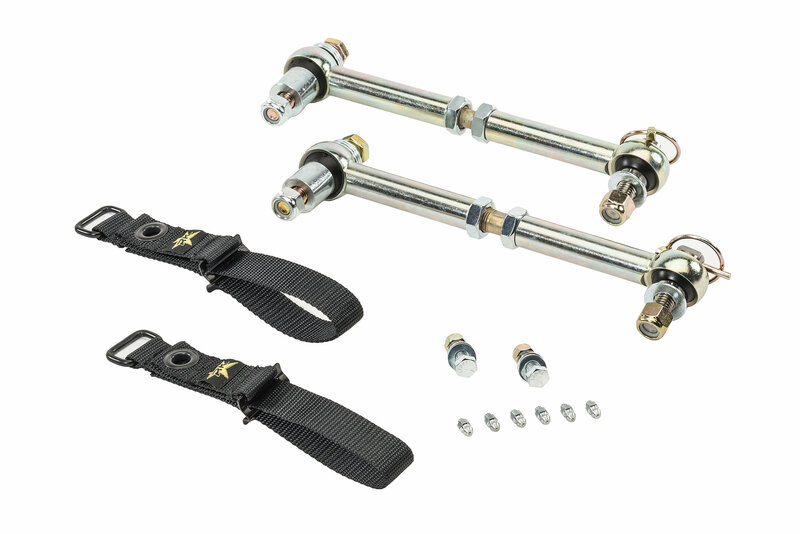 The Rock Krawler adjustable JK extended front sway bar disconnects provide ultimate adjustability & a rattle free ride! 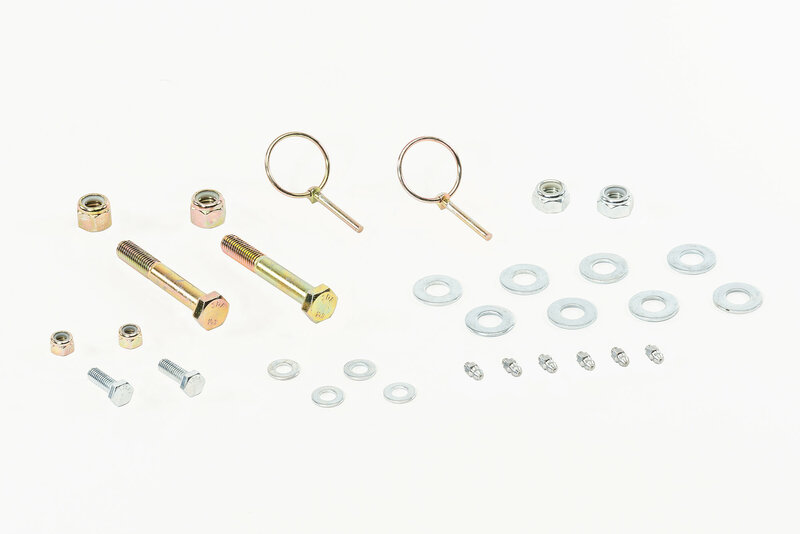 The sway bar disconnects are serviceable and rebuildable and come in a heat treated, zinc plated chromoly housing that offers years of trouble free use. 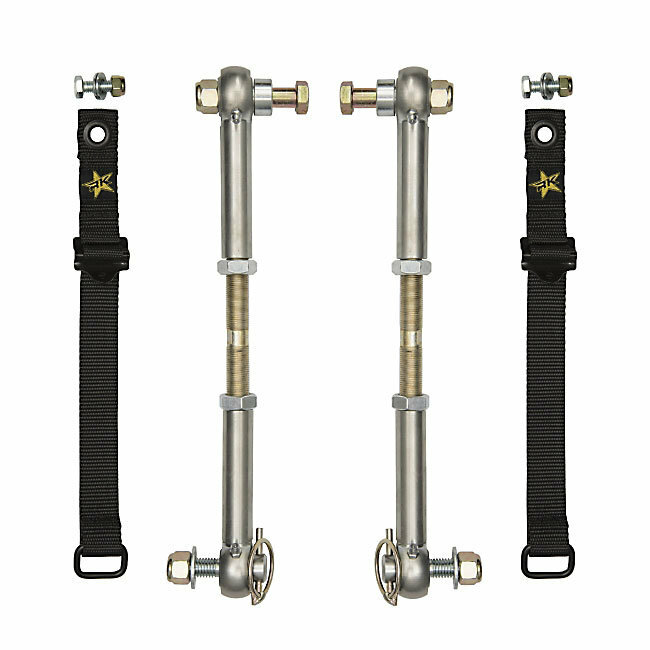 The in Vehicle Double Adjustable Design works on Jeeps with 1.5" - 5.5" of Lift Heights. Injection Molded, Thermal Elastomer Bushings allow for a rattle free ride. They won't fit on my 2.5" AEV lift (without the AEV bracket) without shifting the sway bar off true. I estimate they'll begin shifting it at lifts below ~3.25" (seem to only contract to ~9.5-9.75"). I installed these on my 2015 JK Unlimited with 3.5 Rubicon Express lift kit. The links will not allow you to make them the same length as stock links if you use the two jam nuts that are supplied. If you use the jam nuts and make the links as short as you can they will be a little longer than stock. I installed mine twice thinking you had to make them the same length as stock. Then I seen more videos and it informed me to make sure you use the jam nuts and it’s ok if the front sway bar is raised up about an inch or so since I had the jeep lifted. So there’s that time delay. Another big issue was the 1/2” -13 connector bolts came with metric lock nuts. Had to go to hardware store and get the proper nuts to fit the special made bolts. So no info ships with these things and there is possible hardware issues when you receive the. One good thing is after I test drove the jeep I could tell a more sportier feel with the steering feedback.